NatureWorks formulates and manufactures Swedish bitters supplements. Swedish bitters may promote and maintain health and wellness throughout the body and mind with a blend of 11 different herbs and aloe vera. This traditional elixir, which is thought to have been originally discovered by the Renaissance-era physician Paracelsus and revived by an Austrian herbalist, can work to gently support digestive health and comfort in adults and teenagers with its high-quality herbal ingredients. In Europe and other parts of the world, NatureWorks Swedish bitters are the top brand in their category due to their potency and purity. 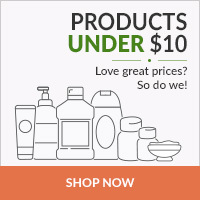 PureFormulas is happy to sell NatureWorks products.